Kheri R. Mbiro is the Partner in charge of Business Development as well as the Partner in charge of the Litigation and Arbitration Practice. With over ten (10) years of practical experience Kheri’s work chiefly focuses on Dispute Settlement, as well as advising in Real Estate, Construction and Infrastructure projects. 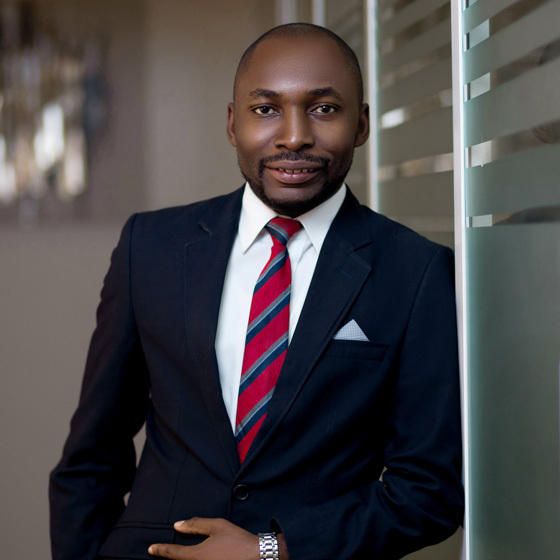 With his Arbitration training and strong background practice, he has advised, supervised as well as administered specialized models of construction contracts including FIDIC model Contracts, among others. Kheri has also advised and represented widely in Wildlife, Tourism and Natural Resources Laws including being instrumental in the negotiations, closing and sealing of major wildlife tourism investment agreements between international investors and the Government of Tanzania. Kheri has taken part and neutralized high profile commercial tax cases including disputes on taxation of resident trusts, employee shareholding schemes, and withholding tax as well as import and export taxes. He is known to have handled major White Collar Crimes Litigation, government subsidies and regulatory authorities’ cases, commercial banking as well as large class action real estate cases. He has successfully prosecuted for and defended over half a dozen major commercial banks in the Region. Before Co-Founding Breakthrough Attorneys Kheri worked at Marando, Mnyele and Co. Advocates, a leading litigation firm in the country for six years (2008 – 2014) as a Senior Associate, where he was involved in major litigation cases including antitrust cases against the role of the FCC in competition cases; judicial review cases questioning and successfully nullifying administrative actions of government officials; real estate unit titles and urban planning cases, investment cases and execution and enforcement of major international agreements and decrees and so forth. Kheri holds a Bachelor of Laws (LL.B) with honors that he obtained from the University of Dar es Salaam. Also possesses a Post-Graduate Diploma in Legal Practice from the Law School of Tanzania (2011) and a Masters Degree (LL.M) in Arbitration and Mediation (2014). International Centre for Dispute Resolution (ICDR) – Young & international Member. Breakthrough Attorneys is an ultramodern legal practice based in Dar es Salaam, Tanzania having a spectrum of cross-borders practices that caters for local and multinational corporations, financial institutions, government entities as well as business private individuals concerning their legal needs around the globe.